Have you considered tracking heart rate variability to improve your health, or to train smarter? 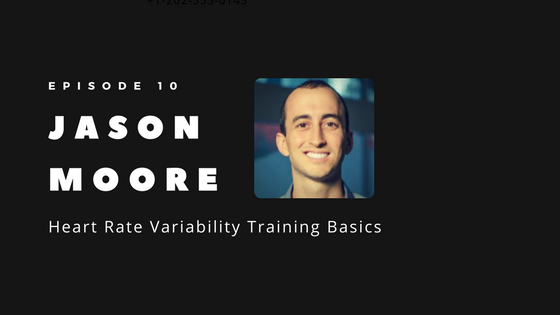 In this podcast, Dave Korsunsky sits down with Jason Moore, Founder of Elite HRV to talk about the basics of heart rate variability training on how anyone can apply this technology toward optimizing their health. Jason Moore, CEO of Elite HRV, combined his education in Information Systems and Operations from Texas A&M University with his love of health and fitness as a health coach and personal trainer when founding Elite HRV. Working with doctors, researchers, athletes and more, they have compiled data to make supporting your health with heart rate variability training as easy as downloading an app and using a monitor for as little as 2 minutes a day. Elite HRV training helps individuals access information about their own health that was previously unavailable to them without very expensive equipment and a team of scientists to interpret it. Learn more about Jason Moore and how he became involved in heart rate variability training and how his company is providing data to individuals empowering their own health. Are you including HRV training in your health tracking metrics? Listen to learn how to identify stress patterns with heart rate variability training, to see how effective your meditation practices are, as well as which days are best for you to train harder.